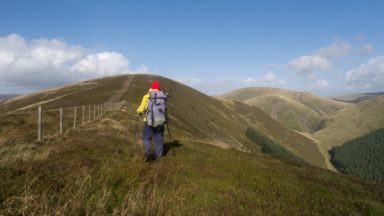 This guidebook to the Border Country region in Scotland and north Northumberland contains 46 day walks, 5 long distance routes and 7 town trails in the broad uncrowded hills of the Southern Uplands, Cheviots, Tweeddale and Teviotdale, Ettrick Forest and the Tweedsmuir Hills. 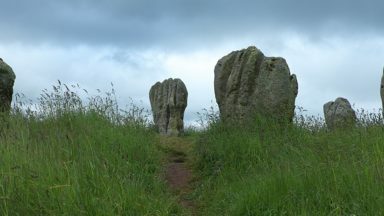 From gentle ambles to harder hill walks there are walks here to suit all. Recommended months are April to October. Varied – suitable for the committed mountain walker to the leisurely valley stroller. All routes graded for difficulty. 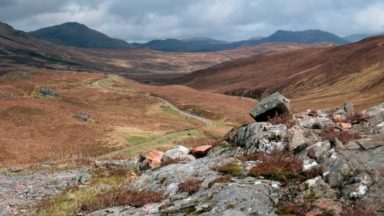 Between England and Scotland lies the solitude of an upland area which, though neglected by rambler and mountain walker alike, offers a wealth of adventure to both. The Borders region of Scotland (comprising the districts of Berwickshire, Roxburghshire, Ettrick and Lauderdale, and Tweeddale) and the northern fringes of Northumberland constitute the landmass known as the Borders covered in this guidebook. This Borderland has a character of its own, manifest not only in the green and rounded hills, the glens and bubbling burns, but also in Border legend poetry and music. The 46 walks in this guidebook have been planned to suit all tastes, whether they are those of the committed mountain walker or the leisurely valley stroller. They are arranged in geographical groups with one base covering several walks, which is handy as it reduces the need to continually hunt for overnight accommodation. The Border Country is divided into five chapters and each one is geographically different from the others. The chapters cover mountainous and hilly sections of the region as well as routes of a gentler nature. At the end of the guidebook there are brief route suggestions for five long distance walks plus seven town trails. Chapter 1 covers 16 walks in the Cheviot range of the hills, lonely and isolated and unchanged over centuries. Chapter 2 describes 11 walks in the romantic valleys of the Tweed and its largest tributary, the Teviot, while Chapter 3 follows in the footsteps of the literary giants of the Borders’ past, with nice walks in the Ettrick Forest. 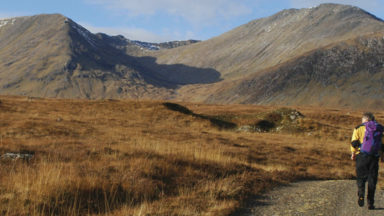 Chapter 4 comprises of 10 walks in the massifs of the Moffat and Manor Hills. Please note Map on page 137 is incorrect as you do not descend on the west flank of the burn to Glenmead. Follow route description. Thanks to Patricia for this update. 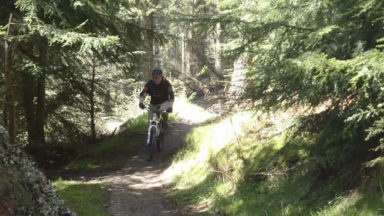 Around 50 routes as well as outlines of a number of long distance trails that cross the region, several new walks, including an ascent of the charismatic coned summit of Rubers Law and a challenging route through lonely Craik Forest. All routes illustrated with OS mappings. 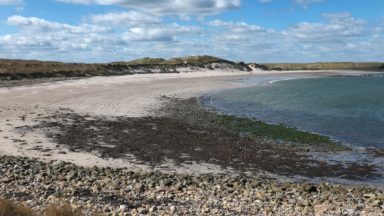 Alan has written walking guides which include Scotland and Northumberland. An inquisitive pedestrian, full-time writer and photographer, he has walked in, in addition to Britain, Catalunya and the French Pyrenees, Italy and his favourite island of Crete. Alan Hall is an experienced walker and full-time writer and photographer. 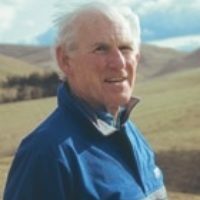 Author of ten books on the outdoors, he is the author of several Cicerone guides, including 'The Border Country – A Walker's Guide' and 'Walks in the Lammermuirs'. Alan has explored many parts of the Pyrenees, Italy and Sri Lanka, plus some 20 Greek islands, of which Crete continues to be his favourite island.